What Is The Best Automatic Horse Waterer On The Market? Keeping your horse hydrated is vitally important, as I’m sure you already know. Horses drink a lot of water throughout the day, on average between 5 and 10 gallons. They are considerably better than humans at staying hydrated! If you have a horse that has to stay in for long periods of time, especially during a hot spell, you may find it hard to fit in the time to take them enough water to keep them comfortable. Have you ever considered an automatic waterer? Keeping a good supply of fresh, clean water on tap can be a real god send for both you and your horse – no more panicking that your friend is parched and thirsty, and no more hauling heavy water buckets about. 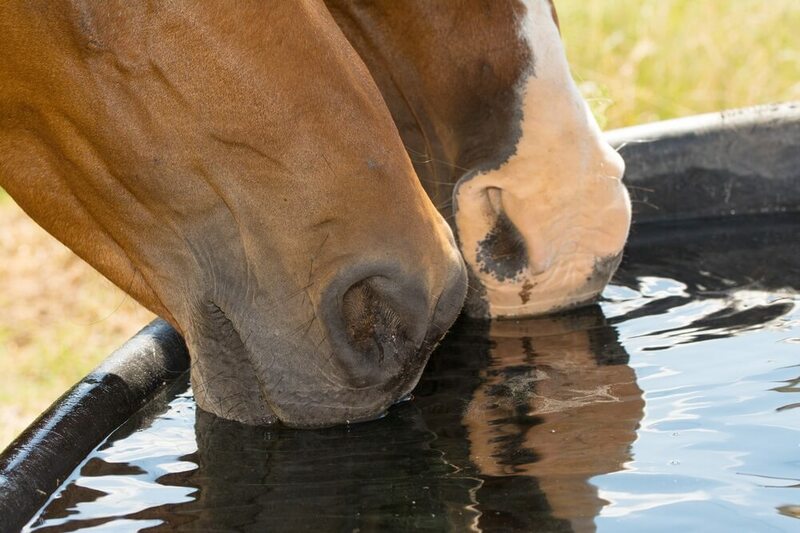 Making sure your horse has constant access to drinking water can also minimise bad manners – if he is thirsty he might start being pushy in the stable until you bring him a drink. Automatic waterers solve that problem! 2.1 1. What are the benefits of an automatic waterer? 2.2 2. Are automatic waterers “set it and forget it? 2.3 3. How can you tell if your horse is drinking or not? 2.4 4. Do horses like automatic waterers? 2.5 5. Are all waterers self cleaning? 2.6 6. Can an automatic waterer freeze in winter? 2.7 7. How do you get your waterer ready for winter? 2.8 8. Are automatic horse waterers safe? 2.9 9. Can’t a horse be electrocuted by an automatic waterer? 2.10 10. How expensive are automatic waterers? 2.11 11. Can an automatic waterer save money? 2.12 12. Can an automatic waterer reduce cleaning chores? 2.13 13. What’s the best way to prevent mud and manure from getting into the water? 2.14 14. Isn’t a livestock waterer the same thing as a horse waterer? 2.15 15. Can one waterer supply enough for multiple horses? 2.16 16. How long does a good waterer last? A fantastic automatic waterer that works on a gravity feed from a holding tank, this waterer can keep your horsey friends well hydrated with fresh, clean water. It refills using a float system, so once the level dips below a certain point the waterer will fill up again. Ideal capacity for horses – The four gallon container is just about perfect for your horse to have a good long drink, before it fills up again with fresh water. Easy to attach to a stable or over the fence – This product comes with the necessary hardware to make fitting easy and simple. Durable enough to withstand abuse – For the horse that likes to play in his water, or even pick up his bucket and throw it around, the Little Giant is durable enough to stand up to all sorts of knocks and nibbles. Good for controlling bacteria – Because the waterer fills up quickly, there is much less chance of the water standing around and attracting bugs, as it might do in a larger container. Can be tricky to clean – There is no drain valve to remove all the water at once to clean out the waterer. That being said, you can just scoop out all the water and wipe it down. A good contender for your perfect waterer, the Little Giant is easy to install and to use, very convenient for you, and will ensure your horses have a constant supply of fresh water. Despite the hilarious company name, Rabbitnipples have produced a really good automatic waterer that cannot be laughed at. It is a high quality waterer that can be used for a variety of different animals and in a variety of different situations. Made of stainless steel – This is a definite bonus because it means the product is super durable. It will not rust, and no amount of chewing in the world could damage it. Can be installed at any height – There are no limits to where you can place this waterer – down below knee level for miniatures or Shetlands, or way up high for Shires and heavy horses. Comes with a warranty – It’s always comforting when a product comes with a warranty, and this one is guaranteed to be problem-free for 30 days, barring any misuse. Water inlet can be switched from left to right – You can move the inlet to either side depending on where you want to hang the waterer, making it more convenient for whatever size and shape your stable is. Does not come with fittings – About the only complaint with this product is that it is not supplied with fittings, mountings or hose attachments. This is not the end of the world however, and most hardware stores should supply what you need. For a really tough, durable automatic waterer, this is a great one. It has a relatively small capacity so it may be better for the smaller horse or one that drinks little and often, but it will still fill up frequently, meaning that there is always fresh water on tap for your horses. This one is constructed from a combination of stainless steel and polypropylene, making it hardwearing and durable. It has a large capacity and can keep your furry friends well hydrated. Attaches to any garden hose – This makes it easy to use, because you don’t have to buy specialist parts. Largest capacity of its kind – With nearly 5 gallons capacity, this waterer is ideal for several horses – or one with a huge thirst! Bowl can be removed for cleaning – Unlike some waterers, this one can be completely detached and taken elsewhere for a really good scrubbing, which will help minimise any limescale or gunk build up. Mechanical float valve – This is the bit that recognises when the water is getting low and refills the bowl. Having a mechanical float valve offers safety and reliability. The water can get hot – If the waterer is standing in full sun and the horse hasn’t touched it for a few hours, the metal bowl can potentially heat up the water to uncomfortable levels. Simply place the waterer in a shaded area to avoid this problem. 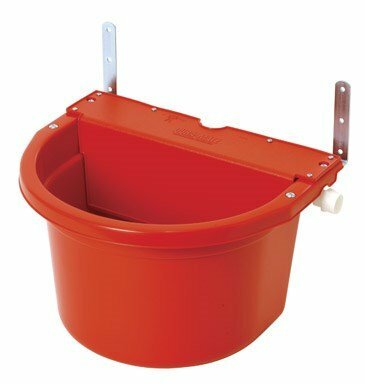 A good quality, large capacity waterer that can offer constant fresh water for your stabled horse. It is strong and durable, and won’t break or rust. 1. What are the benefits of an automatic waterer? 2. Are automatic waterers “set it and forget it? Not exactly. You do have to check your waterer daily to be sure it is functioning properly and that your horse is drinking from it. 3. How can you tell if your horse is drinking or not? If you see him drinking, that’s a dead giveaway. You may also wish to purchase a meter to keep track of how much he is drinking. 4. Do horses like automatic waterers? Most transition from bucket or trough to waterer without any problems. Anxious or shy horses may need a bucket of water beside the unit for a while so that they can understand what the new addition is for. 5. Are all waterers self cleaning? No, be sure to check the product information before purchasing to choose just the right unit to suit your maintenance requirements. 6. Can an automatic waterer freeze in winter? All waterers are not freeze proof. If your waterer is not insulated/heated, it will freeze. Additionally, if your pipes are not buried deeply enough and/or correctly insulated, they will freeze. You must check daily to be sure your waterer has not frozen. 7. How do you get your waterer ready for winter? An automatic waterer should be cleaned in the autumn in preparation for winter. Check the units’ heaters and thermostats for proper functioning. Be sure all thermostats are set at the desired level. Make sure there are not gaps in insulation and replace any worn or broken parts before cold weather comes. Establish a backup plan in case something goes wrong during the cold winter months. 8. Are automatic horse waterers safe? Modern units are usually streamlined, smooth and safe. Older units may have sharp edges that can cause injury. 9. Can’t a horse be electrocuted by an automatic waterer? Many units do not use electricity. Even those that do are not wired in such a way that the horse would come in contact with the current. Horses are typically electrocuted by the water heating elements that owners sometimes submerge in the water tank to prevent freezing. This product is a recipe for disaster. 10. How expensive are automatic waterers? Generally speaking, you may spend between $300 and $800 dollars for the unit. Because they are permanent fixtures, installation can mean quite a bit of work and expense. You may need to dig a trench, run some power lines, install some water lines, lay some gravel and pour a concrete pad. If you are not able to do this on your own and/or you do not have the equipment, you may have to hire people and rent or buy equipment. 11. Can an automatic waterer save money? Even with the cost of purchase and installation, in very cold climates, a properly installed and insulated unit can save money on water heating bills. If you hire help to feed and water your horses, this addition will cut down on man-hours. Having fresh water always available keeps your horse healthier and may very well reduce your vet bills. 12. Can an automatic waterer reduce cleaning chores? 13. What’s the best way to prevent mud and manure from getting into the water? Set up a non-slip concrete pad around the waterers, and install the waterer one step up chest high so that the horses’ heads and necks are comfortably positioned for drinking and hindquarters down and away from the basins. 14. Isn’t a livestock waterer the same thing as a horse waterer? No, units designed for cattle, sheep or other livestock may not be usable for horses. 15. Can one waterer supply enough for multiple horses? No, it’s important to have enough units to provide ample water for all your horses and to prevent fighting over the water. 16. How long does a good waterer last? A high quality unit, properly installed and maintained regularly will continue operating efficiently for twenty years or more. Most suppliers keep parts in stock, even for these older units, so that you can get the most value for your dollar. 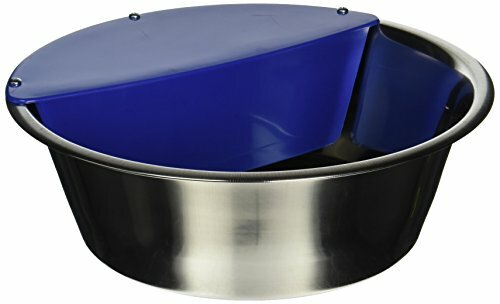 If you are looking for a good automatic waterer for peace of mind and convenience for you and your horse, then look no further! If you want a good, simple, strong waterer with all the attachments to fit it in a field or a stable, then try the Little Giant Duramate Automatic Waterer. If you are looking or a seriously heavy duty waterer for the horse that likes to play with his drink, the go for the Automatic Farm Grade Stainless Stock Waterer by Rabbitnipples. If you need a large capacity, good quality automatic waterer then the H2O Animal Hydration Flow Automatic Waterer is for you. I have seen a few of these in use at the boarding place. They all seem to work as they should and I have never heard anyone complain about one or another. I am sure all of these options for watering your horse automatically would be just fine.